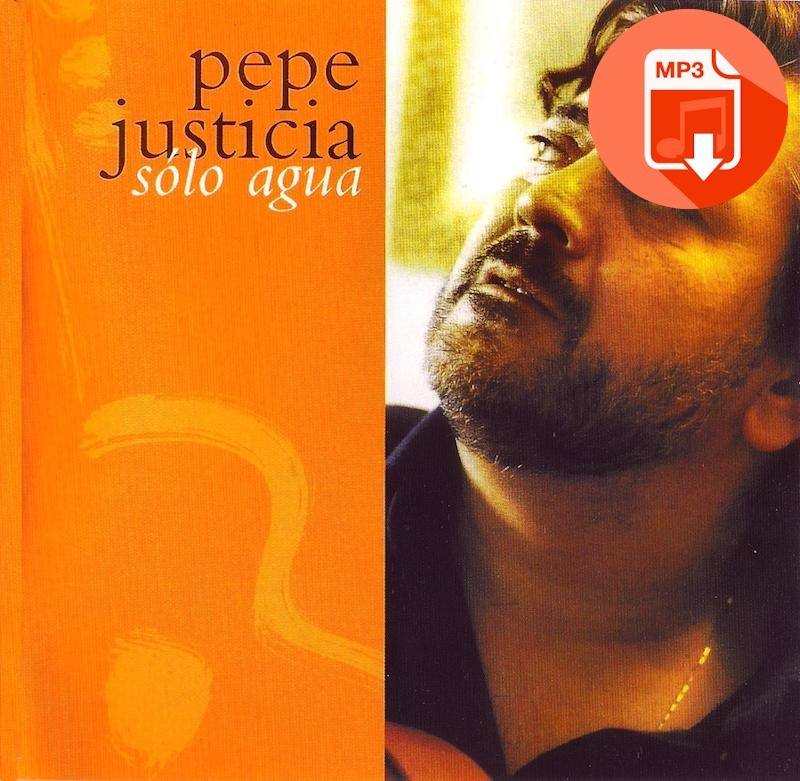 In Solo Agua (Just Water), his fifth album, Pepe Justicia, comes to demonstrate yet again an extraordinary and difficult balance between Flamenco classicism, innovative heterodoxy and current sound. The hardest thing to achieve in a quality artistic product is to make it look like ancient and modern at the same time. 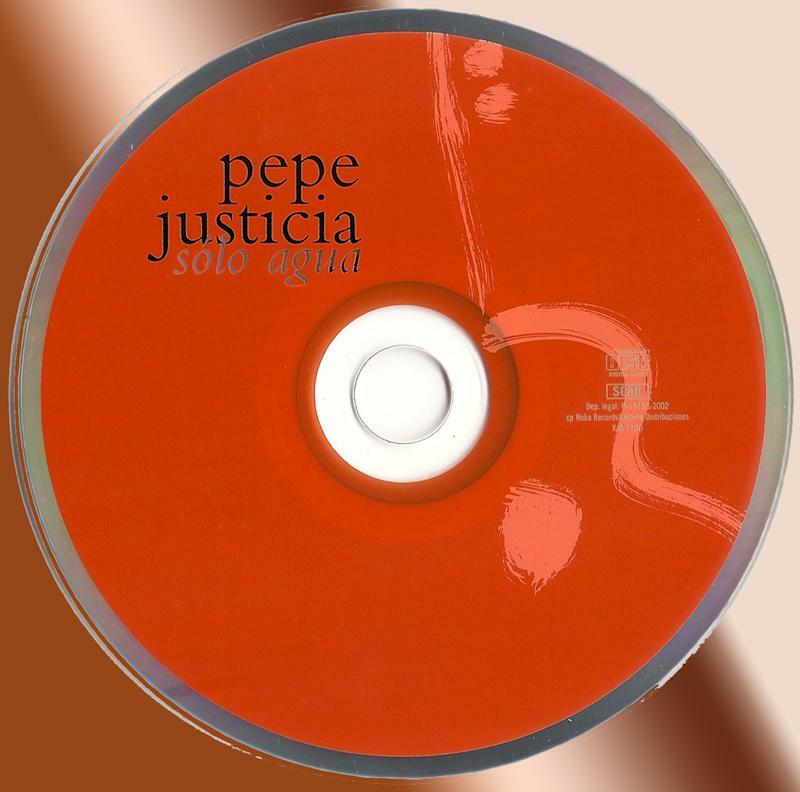 Pepe Justicia has done it. 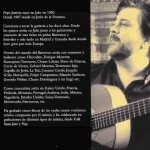 Rigorous in his work and sensible researcher Pepe Justicia is carefully trying to not stop being and sounding flamenco. 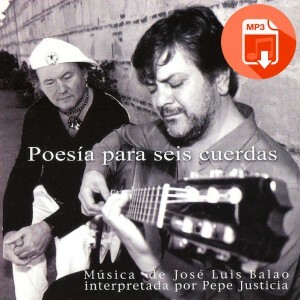 Solo Agua (Just Water) contributes to dignify and acknowledge the guitar touch. 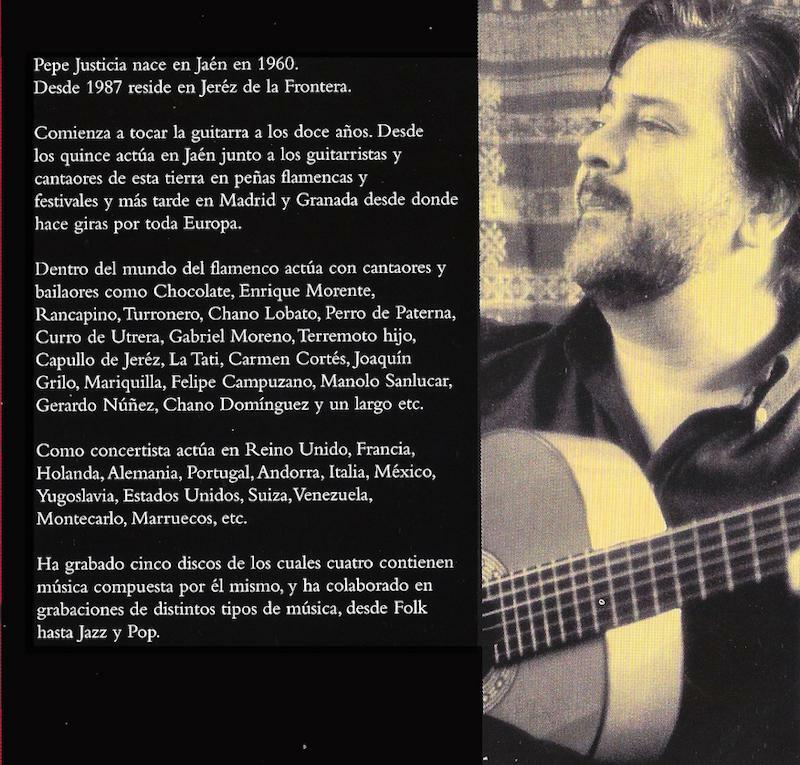 As accompanying guitarist has performed with some of the most important figures of the current canto, as Fernanda de Utrera, Rancapino and El Capullo de Jerez. 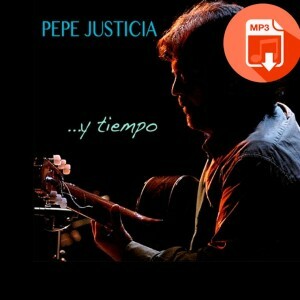 The unmistakable musical universe of Pepe Justicia arises from the rhythmic themes with gaditano origin and also from his serene touch, looking for more deliberate and solemn measures.  The instrumental sticks have a different sound with a different wave, have their own structure. 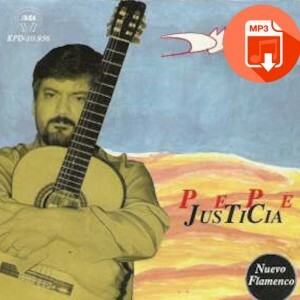 Sometimes, Justicia includes in his creations harmonies inspired in other sound universes, but always makes everything sound deeply flamenco.